Considering the fact that working in the hospitality industry can be quite profitable and allow you to establish a successful business, it should come as a surprise that new restaurants seem to pup up almost every month, especially in larger cities such as Melbourne and Sydney. When there is so much competition starting a successful restaurant business might seem like a difficult task. However, things are not always as they appear to be at first glance. Once you get more familiar with the main principles of the hospitality industry you will realize that establishing a reputable business is not just a matter of attracting a large number of customers, but also creating a strong customer base. These are the customers that will return to your venue more than once. In fact the key is to attract clients that will like to spent time at your restaurant bar on a regular basis. To achieve this you need to make sure yours truly stands out among all the competitors. To create a unique and stylish restaurant bar you need to invest in a few essentials. However, before we dive into the essentials let’s first see what are some important decisions you need to make before opening the venue. From cocktail bars with casual ambience to modern ones that provide a vast selection of drinks, there are many different types of restaurant bars and you should figure out which theme will work best for your specific conditions and needs of your business. Once you’ve selected a theme for the bar, the time has come to equipped with all the necessary supplies such as fridges, carts, cocktail shakers, jiggers, etc. As one of the most important element of any bar area, the fridge should be chosen carefully. Commercial bar fridges are available in a variety of sizes and shapes. Many bar owners opt to buy glass fridge due to its modern design. 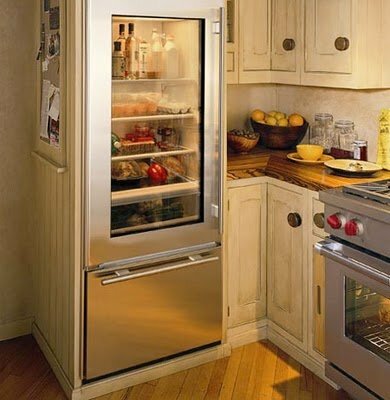 But the modern design alone is not the only reason why you should buy glass fridge. It allows for a stylish display of drinks, all while providing a superior performance. To get the most of your fridge opt for a large model where you can neatly arrange all your beverages and keep them fresh and cold so that your bartender can prepare refreshing cocktails for your customers. Once you’ve chosen a great glass door fridge the next step is to fill it up with all sorts of beverages. Some of the most popular hard liquors that every bar should have include gin, tequila, vodka, bourbon and rum.